summary: Kosciuszko in October is always going to be unpredictable, but since the heavens dropped plenty of snow just a week before our five day trip, we were expecting to see some decent drifts. Of course we were not disappointed! This trip took in quite a number of areas of the park, including The Main Range, The Rolling Ground and The Kerries. We arrived at Guthega slightly delayed due to a nasty incident with a deer a couple of kms outside o Jindabyne. We then spent a lot of time going backwards and forwards around the streets of Guthega trying to find the trail head! Eventually we gave up and simply parked in the main pub car park and walked the extra one kilometer down to the dam wall. 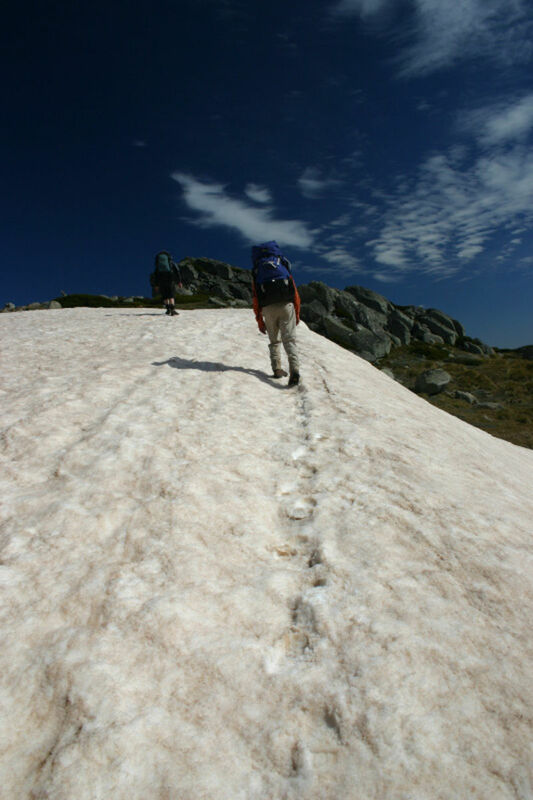 From there, the trail was relatively easy to follow and took us parallel to the Snowy River until we got to a flying fox to take us to the other side (or as we like to call it, the squeaky fox!) Doing this crossing for the first time in the dark, after midnight was a little daunting but we made it without getting wet! The night air was very cold at this time though, with a frost already settling on the ground. We continued until we were on the last flat area before arriving at Illawong Lodge. 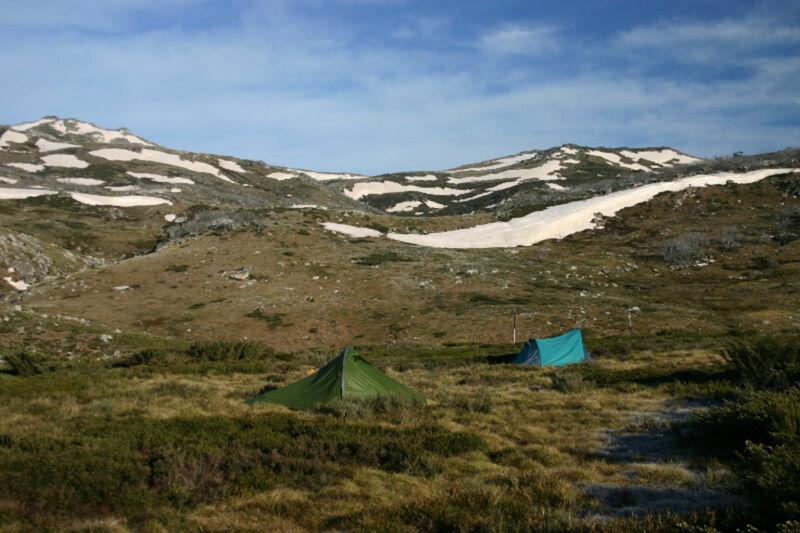 This proved to be a great campsite with views of the surrounding mountains and snow drifts! The heavens were clear too, so we did a little star gazing before hitting the bags sometime after 1am. With the sun up, we could get a good view of the area we were camped. In one direction we could see Illawong Lodge, and in the other we could see the dam wall which is a lot closer than we had expected! The weather was good at this stage, although cool, the skies were clear and a light breeze was blowing. We broke camp at 9:30 and after a quick check of Illawong Lodge, we crossed over the suspension bridge and started up the mountain towards Little Twynam. This walk is all up hill, and took us over a number of large snow drifts. We were not making very good time, and got to Little Twynam at 1pm and shortly after that we dropped back to the protection of the saddle for a long lunch. Shortly after lunch we climbed to the peak of Twynam, where we could see all the way to Mount Jagungal and Round Mountain in the North. From here we continued our traversing across the snow drifts to Mount Anderson where the weather started to change and we actually received a few minutes of snow!! Since some of the snow drifts we were traversing were too steep for safe climbing, we actually found a little boyish spirit and tobogganed to the bottom on the back of our packs! We eventually made our way a little closer to Mount Tate, before dropping down to the saddle just before Mann Bluff for our nights camp. The camp was devoid of timber, so there was no fire. But we were able to sit out for a while and watch the skies clear and expose their bounty of stars. Early on the second morning, the sun was out and the skies were completely clear. Unfortunately we had all taken a little ill over night, so the morning was a little slow as we worked out the best plan for the day. We decided to push on, but had a number of contingencies plans if we had to stop early for health issues! The start of the day was pretty easy as we walked past Mann Bluff, and then on to the summit of Mount Tate. From here we could easily see back to Guthega, and my car in the car park!! It made us feel as though we had made no progress at all!! After Mount Tate, we pushed on to Consett Stephen Pass and then on along The Rolling Ground. The walking was much easier along here so we made some good time as we moved on towards Dicky Cooper Bogong. The climb up to the peak was a little difficult, even though we were without packs. But the views we got to the North and South from the top were definitely worth the effort. 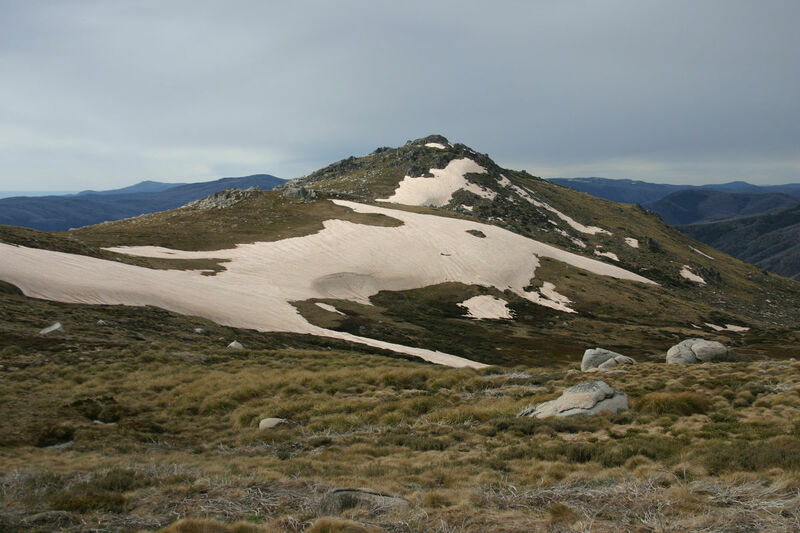 After climbing the Bogong, we traversed to the East and down to Schlink Pass were we hit the fire trail for a few more kms to the North. Along the way, a quick break at The Schlink Hilton before pushing on to the final hill of the day! There was some debate on how far past the creek we should camp, Eddy finally convinced us to climb another 50m along the fire trail to a nice spot in the trees. We had a fire this night, which was definitely well earned as we were all completely exhausted at the end of the day. The small fire we had and the mild evening let us enjoy another sky full of stars, and a well deserved glass of whiskey. From here we continued along the fire trail to about 1/2 km from Valentines Hut. We dropped packs here as we would come back to this spot and traverse along the ridge to The Kerries later. 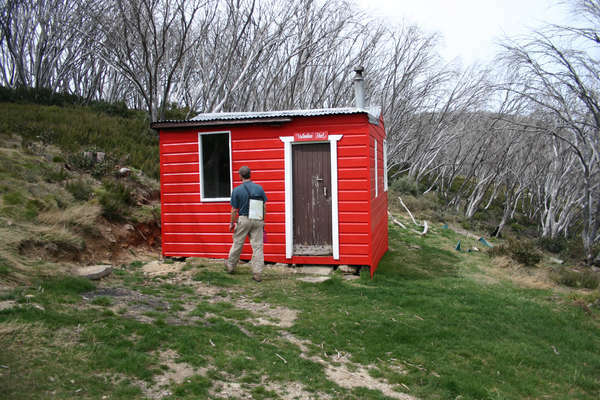 We followed the trail down to Valentines Hut which had recently bee painted a very bright valentine red! The hut was empty at this point, so we continued on down the trail to check out the Valentine Falls. The trail was relatively easy to follow, and had some great views of the rapids that lead to the Valentine Falls. Unfortunately, I think we finished a 100m or so short of the actually falls, but even with the views that we got, the river was amazing! 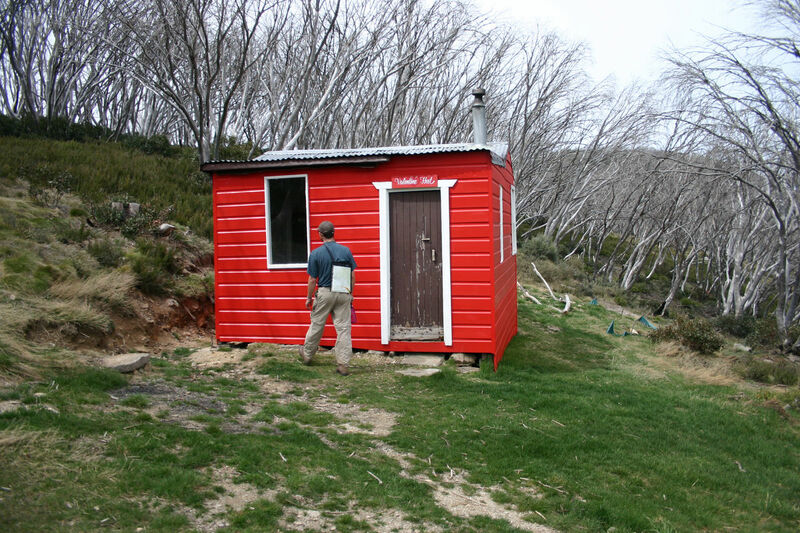 When we retraced back to the hut, there was a number of people there. We stopped for a chat before heading back up the trail and our packs. 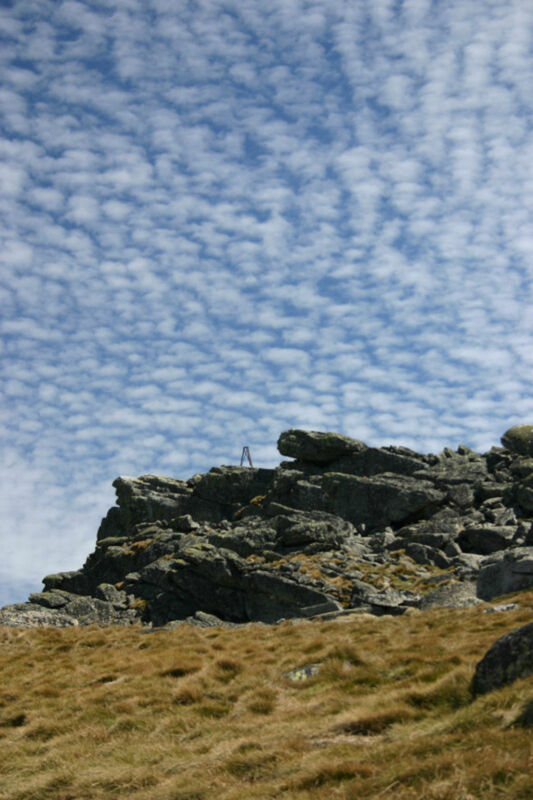 We noticed a rock cairn just prior to the hut which was probably the official spot to traverse up to The Kerries, but our spot was fine and we followed the ridge until we got to the top for some great views to the East. We made camp right on the edge of The Kerries, nice and early at 3pm. There was a water source (snow drift) only a few meters away, and we even managed to collect up a heap of fire wood to make the evening more pleasant. The temperature had been hot during the day, up to 27 degrees, and the evening was no exception. We were expecting a change to come through and put an end to our star gazing, but fortunately this didnt happen until the early hours of the morning. When the change did arrive, it came with very strong winds that tested our tents pretty well since we were camped up at 2000m! Fortunately, everything survived the night. We managed to find a small cave to hide the stove to cook the mornings breakfast as the wind was still gale force when we rose. It was set to stay this way for the rest of the day. We made very good time walking over The Kerries, despite the wind! At times the wind was so strong we couldnt stand still! Fortunately the wind was mostly at our backs all morning, so we made good time to Gungartun Pass for morning tea. We stopped right on the saddle of the pass which was amazingly sheltered. 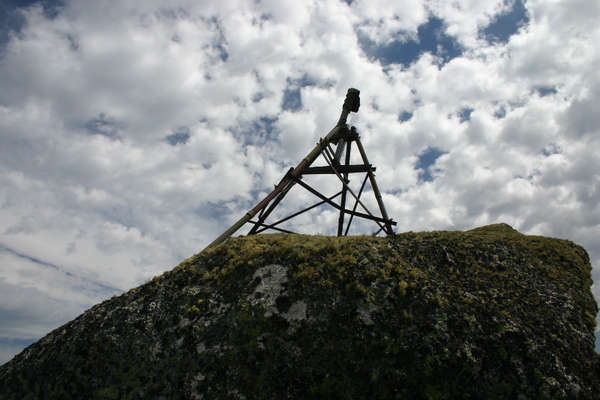 From there we managed to push on to the top of Gungartun, where the wind was even stronger then last year with Richard! After recovering from the wind, we traversed the ridge down to Schlink Pass where we had a break for lunch. At this time, the skies started to darken around us and it looked like we were in for a serious storm. We decided to push on along The Rolling Ground though and get as close to Guthega before the rain came. We took a break at The Granite Peaks before pushing on past Consett Stephen Pass where we camped for the night. We found a spot which we thought was a little more sheltered from the wind, but after pitching tents we watched as the wind increased again and the tents started to complain once again! Fortunately though, the black clouds slowly cleared and the skies once again cleared up. Eventually the wind did ease off just a little, and we managed to get a good nights sleep. 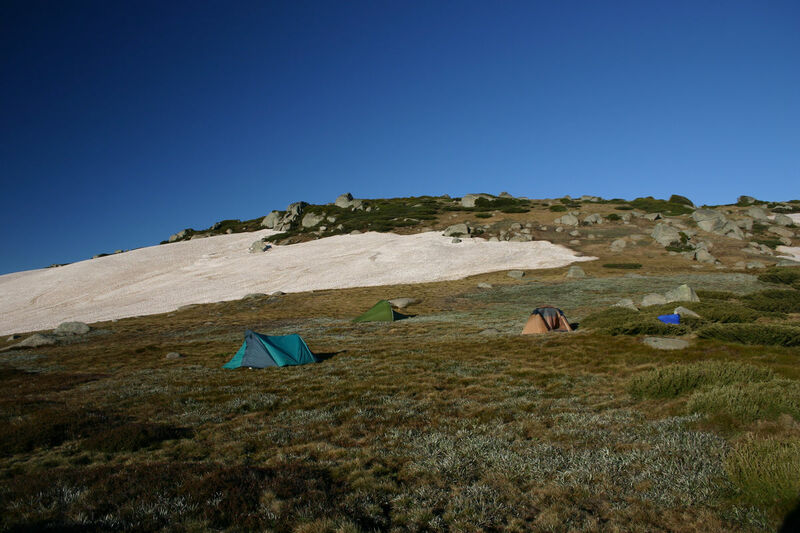 Still no rain though which was amazing, as we rarely walk around Kosciuszko without getting wet! 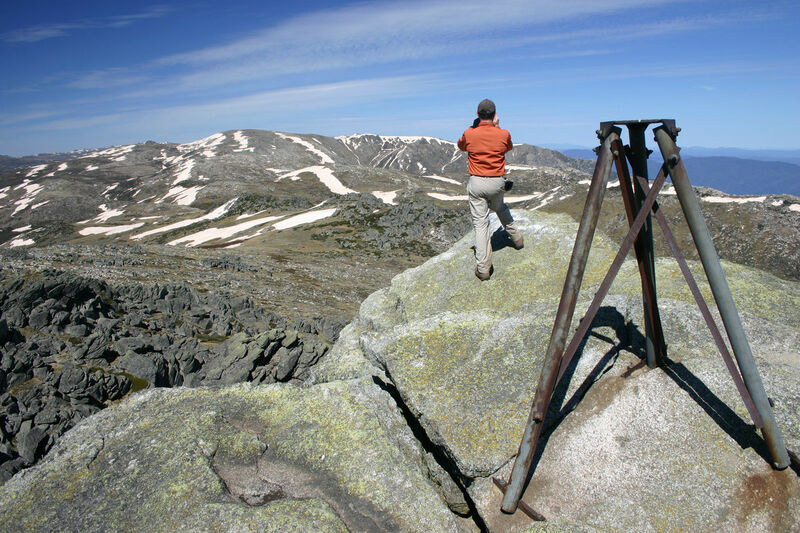 On our final day in the mountains, we were up early and followed a foot pad to the south and along the ridge line looking for Guthega Trig. Unfortunately we didnt find the trig station, but the foot pad did continue on down the ridge all the way to Guthega dam. We arrived safely back at the car around 11am, with the sun still shining. 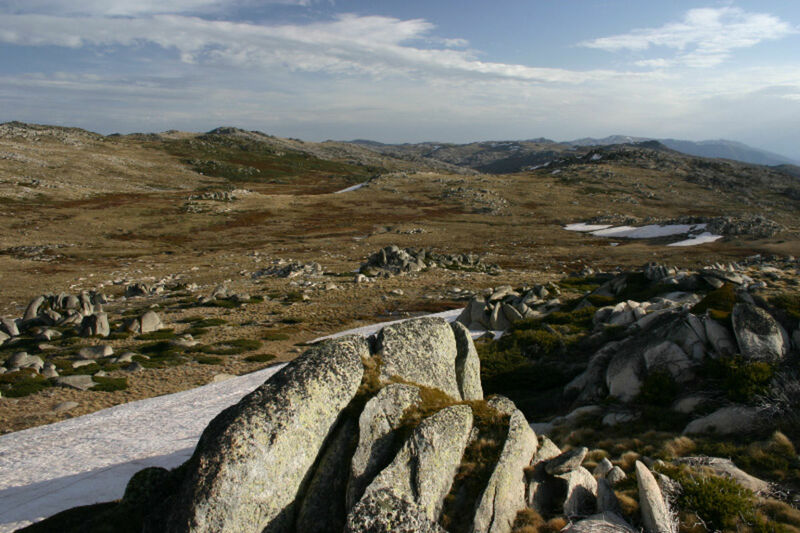 Another successful, and dry trip to Kosciuszko had come to an end. Download GPX data for TRACKS.